Australian producer Mista Savona has created a soundclash with a difference, bringing roots reggae, dub and dancehall together with son, salsa, rumba to create Havana Meets Kingston. The 14-piece band boasts the heavyweight rhythm section of Sly and Robbie and members of Buena Vista SocialClub, Los Van Van, Chucho Valdes and Inna de Yard. 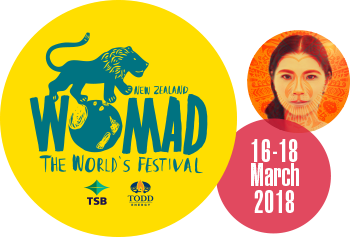 WOMAD 2018 - One More Sleep to go! Two More Sleeps until WOMAD 2018!! !